Blink 182 have released the video for 'Up All Night', one of their recent recordings from their forthcoming album 'Neighbourhoods', due for release 27th September 2011. Here is the video anyway. I'm looking forward to the release of 'Neighbourhoods'. If these recent releases are anything to go by, it will be an awesome return. 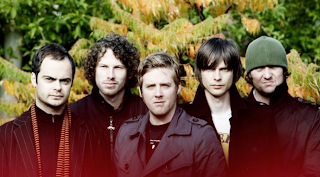 The Kaiser Chiefs are set to tour the UK; announcing dates for January and February 2012. This will be the bands first big tour for almost two years. 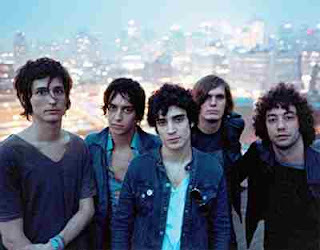 Although, they haven't been exactly quiet, still playing festivals and some other gigs. Tickets for the tour go on sale Friday 29th August at 9am, coinciding with the next release 'Man On Mars' from their latest album 'The Future Is Medieval'. How I missed the release of this album and the single that proceeded I don't know. Big Talk is the solo project of Ronnie Vannucci Jr, also more commonly know as the drummer from The Killers who looks like Jason Lee (my name is earl). This single Getaways was released ahead of the album; I suggest you take a listen as its awesome stuff and better than you think it would be (probably because you never imagine drummers as singers). No longer will I see Earl on the drums, but Ronnie. Hopefully he will release some more solo stuff, or maybe lead a few for The Killers? That would be something! 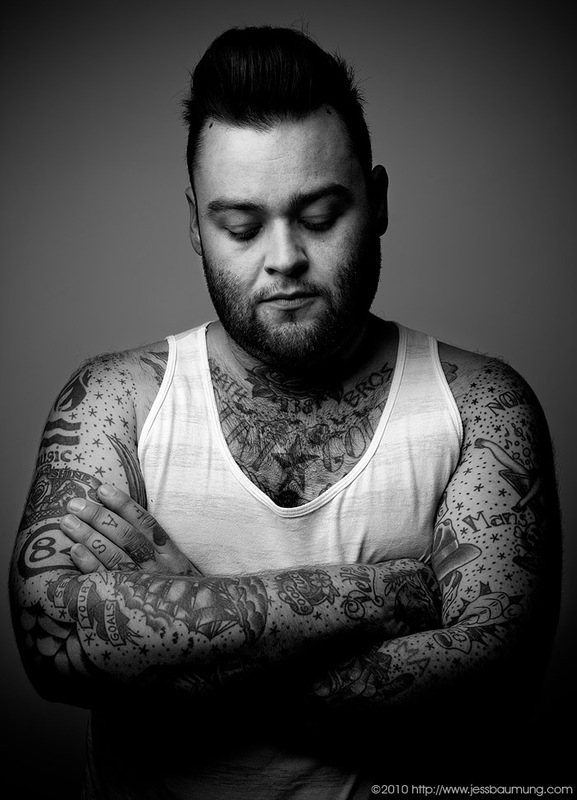 This is until today when Wade MacNeil of Alexisonfire has been confirmed as the new singer of Gallows!Wade had met and befriended the band when they toured together as he played in his side project Black Lungs in 2009, so it seems they got on kept in touch. Hopefully we will get to hear the new sound of Gallows soon as the band are currently recording their third studio album and are set to tour North America with Four Year Strong this autumn. This week England has seen a wave of riots spread the country. As well as causing mindless damage to their own communities, the rioters have now damaged the music industry. 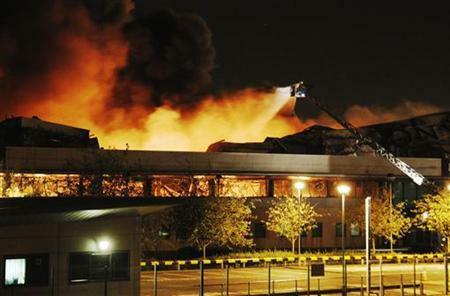 Last night PIAS Distribution, the UK's largest independent distributor, was burned to the ground. Their warehouse, based in Enfield, held stock on site for a large amount of independent labels, all of which may be lost. 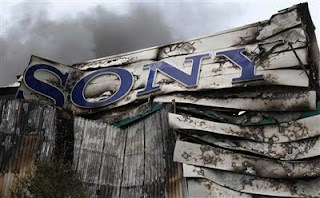 This could potentially be extremely damaging to the music industry, particularly to smaller labels who relied solely on PIAS for holding and distributing their stock. Thankfully we can take some comfort that we live in an age where digital sales are possible. Hopefully this will keep the smaller labels solvent until thier stock is replenished, although it could take sometime. In the meantime I hope that the riots stop soon and the culprits are caught and procecuted. Not just for this act, but any acts of violence, theft or damage caused over the past days. They have disgraced our country. 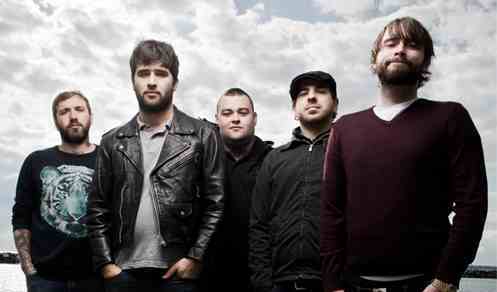 After nearly 10 years together as a band, Alexisonfire have split. The decision came about after Dallas Green had decided to leave the band to focus on his other project 'City and Colour' and now Wade has left to play in another band. At first the band considered finding a replacement for Dallas, but with the recent departure of Wade, the rest of the band have decided to close the curtain on Alexisonfire. The band are planning to do a farewell/10 year anniversary tour of their home country Canada, although this is still in the planning stages. The split was announced yesterday by lead singer George Pettit on the band website http://www.theonlybandever.com/ which he thanks fans for their support, describing them as 'the coal that stoked their engine'. Pettit concludes the message by telling fans to"Take solace in the fact that you live in one of the most exciting musical eras. Try to support some of your local independent artists in the same way that you supported us. A life of musical exploration is a rich and fulfilling one." Its sad to know that there will be no more releases to look forward to, but they leave a catolouge of albums I know i will enjoy listening to over and over. A month or so ago I did a post of awesome covers. I stupidly forgot this track. I first heard this cover while watching Observe and Report; a film you have to see. Last Friday my Fiance and me decided to go into Manchester for a drink. 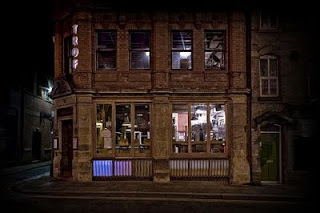 After trying a few bars and finding they were either too packed/too pricey/rubbish music; we decided to try 'Trof NQ'. I'd been on their website and it looked good, but far too often looks are misleading. This wasn't the case. What we found was a diamond amongst rhinestones; good music,good prices and a good mix of people. I need to go back to the music, it was awesome not good. It was 'Block Party' night and the DJ's were playing a mix of hip-hop and other similar sounds, some we knew and others we didn't, but all good choices. It fit the scene perfectly. 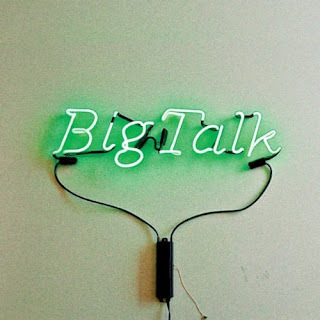 Enough to move to, but mellow enough to also sit and talk, without having to shout to be heard. Another plus was the staff who were friendly and welcoming; sadly a rarity these days. So, if you're in Manchester, visit Trof NQ. You wont be disappointed.